She’s been awake since 4am, having flown in from Denmark. If she’s tired, she doesn’t show it. Her face is lightly made up, her dark eyes and high cheek bones needing little to enhance their natural beauty. She’s certainly not tired of travelling, which is lucky, since it’s been a part of her life since she won ‘Elite Model Look’ in Spain at just 13 years old. Patricia went on to become one of 15 finalists in Switzerland; the winners are today’s top models. As a teen, she juggled school and modelling. Back then, most of her clients were based in Barcelona. Today, she is represented by agencies in ten countries. She counts them off on her fingers: Spain, Denmark, Sweden, Germany, Norway, Italy, England, Belgium, Switzerland, Austria… They can call her at any moment and she rarely turns down a job. Patricia has launched her own online store, www.miljostore.com, which suits her busy lifestyle and feeds her love of what she refers to as ‘niche cosmetics’. Organic, cruelty-free and preferably with an Ecocert certification, scouting for these kinds of cosmetics has been a passion of hers for some time. Today Miljø offers 13 brands which cover skincare, haircare, nail care, perfume and makeup. Some of the products have been developed with natural essential oils, which benefit the body as well as our moods. While lavender is soothing, citrics energise the wearer. 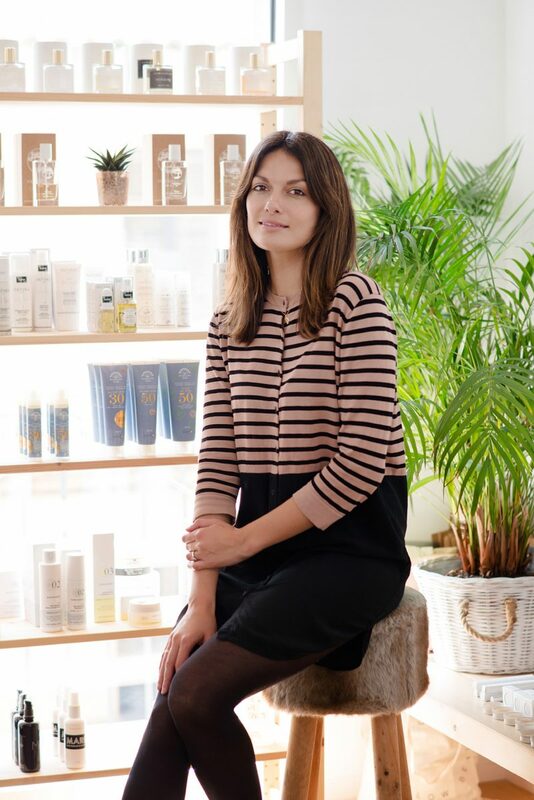 Another of her favoured brands is Patyka from Paris, which employs hyaluronic acid. It is naturally occurring in our bodies but reduces with age, and helps keeps the skin plumped and moisturised. Danish brand Rudolph Care is 100% fragrant free, uses only the highest quality organic ingredients, and is ideal for pregnant women who need to be wary of ingredients that might be absorbed into their bloodstream. Their organic sun cream is Miljø’s firm best seller. Being a dynamic and enthusiastic business woman, Patricia isn’t content to just sit back and hope for online sales. On the contrary, she’s constantly looking for opportunities to spread the Miljø goodness, and regularly organises and participates in events on the island, such as ‘Imagine Pop Up’, created with other brands. When she has time, Patricia organises beauty coaching workshops to introduce her clients to the different products and makeup techniques. She’s always willing to meet individuals to discuss their specific needs. “I’m a perfectionist,” she admits, and for Patricia that means understanding the nuts and bolts of her business. In addition to her modelling career and online venture, she’s also making time to take a Masters in Digital Marketing. Despite her jetsetter lifestyle, she will always call Palma home. “When you’re born here, you don’t want to leave,” she says. That said, she’s only here for the weekend this time. Next week, she’ll be back on a plane heading for Denmark, no doubt sitting in a window seat dreaming up new ways of bringing niche cosmetics to a wider audience.